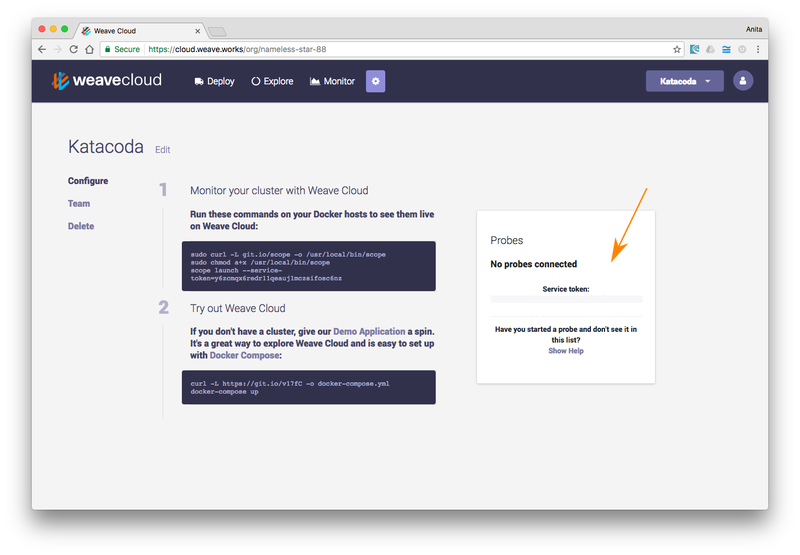 Weave Cloud is a fast and simple way to visualize, manage and monitor containers and microservices. In order to use Weave Cloud to set up Weave Net, you must sign up to Weave Cloud and create an “Instance”. For the purpose of these instructions we will use a dummy Service Token dk6hz1acdd58aea6b75migoy4axqasdf. Because you are using Weave Cloud, the second peer will discover the first and automatically create a connection to it. The Weave Cloud back-end maintains a database of all the peers that have registered in each instance. You can create as many instances as you like in the Weave Cloud console: for different projects, or to separate test and production. When the new peer registers itself, it also fetches a list of all other peers in the instance, and begins to contact them. When a Weave Net instance is formed for the first time, the peers must initialize the IP Allocation Manager. This process, and the configuration options available, are unchanged when using Weave Cloud. When you shut down a peer for good, use the weave reset command and it will be removed from the Weave Cloud database so future peers will not attempt to connect to it.